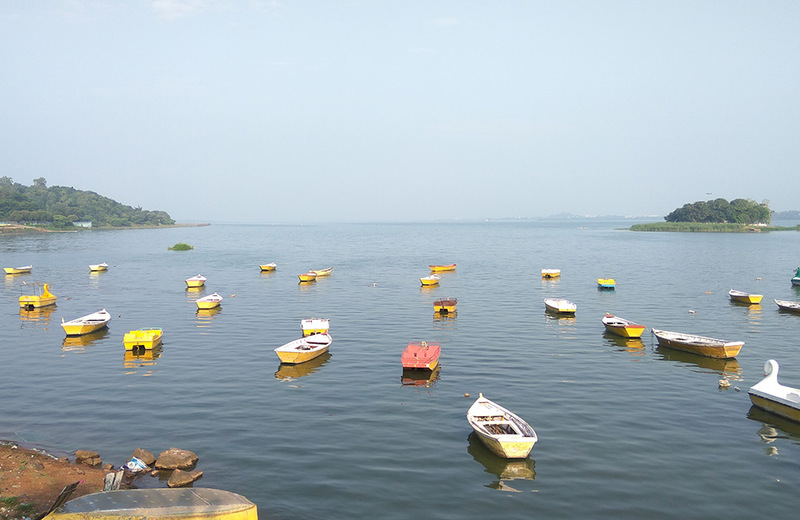 Bhopal’s landscape is a saga of contrasts outlined by its two major lakes. To the north of these waterbodies stand the old city that keeps intact its rich past through its historical monuments, elaborate mosques, ancient bazaars, and intricate network of lanes. To the south of the water bodies lay the modern façade of the city, complete with its dose of swanky hotels, trendy malls, lavish housing complexes, and wide roads. Enhancing this contrasting beauty of the city are its lakes. And when it comes to lakes, Bhopal does have quite a few of them, so much so that it is nicknamed the City of Lakes. These water bodies are an exciting combination of man-made beauty and nature’s creativity. Here, in this blog, we bring you the most popular lakes in Bhopal you must not miss out on visiting. Check out amazing deals on hotels in Bhopal! In this hot and humid city, if there is one place that promises you not just stunning views but a cool breeze as well, it has to be the Upper Lake. 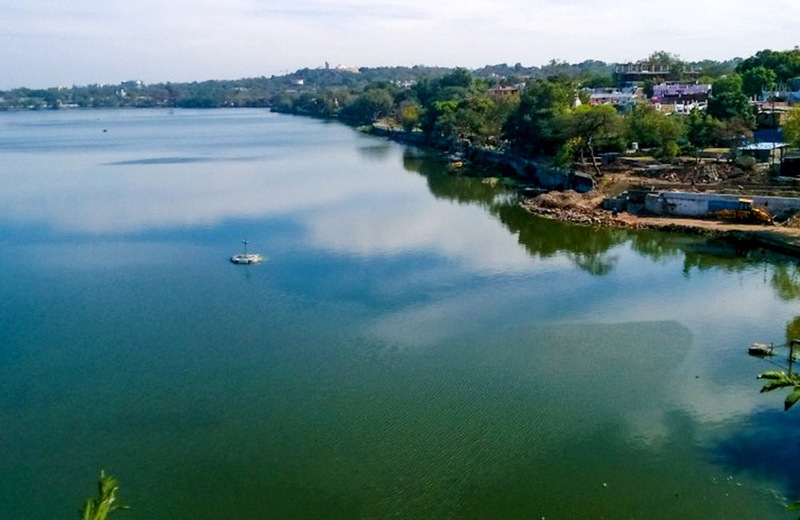 Often referred to as the Bada Talab or Bhojtal, Upper Lake in Bhopal is a man-made water body that dates back to the 11th century, built by the Paramara Raja Bhoj when he was the ruler of Malwa. There’s an interesting folklore associated with the creation of this water body. Legend has it that once the king was affected with a skin disease. And when no doctor could cure him, a saint asked him to build a lake that combined the water of 365 tributaries and take a bath in it to get cured of his disease. The king commissioned his engineers to build such a tank, but they could find only 359 tributaries. That is when a Gond commander helped them out by giving the address of an invisible river and its tributaries. And that, according to local legends, was how the Upper Lake was born. Since then, much has changed in the city of Bhopal, but this water body has remained as its constant landmark. One of the best lakes in Bhopal, this water body is a great place to get a glimpse of quite a few avian species. Given that the current water level of Upper Lake, Bhopal is quite high, you can indulge in a variety of water sports there, including canoeing, parasailing, kayaking, rafting, and water skiing. All these water sporting activities are offered by the National Sailing School that is situated at the Boat Club on the eastern side of the water body. You can also enjoy paddle, sail, and motorboat trips on the lake. So, if you have a free day while visiting the city, make sure to head straight to explore this iconic lake in the city. Speaking of water fun, the city offers you its share of heavy-duty aquatic adventures too, which you can experience at these water parks in Bhopal. If you have some time in hand to explore fun activities within 200 km, you can also consider these water parks in Indore. Among the list of lakes in Bhopal, the Lower Lake or Chhota Talab is a well-known name. Built in the year 1794 for the purpose of beautifying the city, Lower Lake, Bhopal forms the Bhoj Wetland along with the Upper Lake. A bridge connects these two water bodies, which is known as the Pul Pukhta or the Lower Lake Bridge. One thing to note about this water body is that the lack of fresh water source has increased its pollution level. Also, the lake’s depth is on a slow decline. But in spite of all these, the lake offers an excellent place for you to sit back and soak in the surrounding beauty of the city. Want to experience the city more and feel its pulse? How about exploring some of the popular tourist places in Bhopal during your stay in this beautiful city? Whether you are visiting Bhopal on a professional trip or for sightseeing, make sure to spend some time at these beautiful lakes. The best part is that you can visit the lakes at any time of the year, summer, monsoon, or winter. While you are here, don’t forget to gorge on some of the fine flavors of the region at these best restaurants in Bhopal. Placid waters, lip-smacking food, and a city throbbing with life – sounds like a perfect holiday plan, doesn’t it?